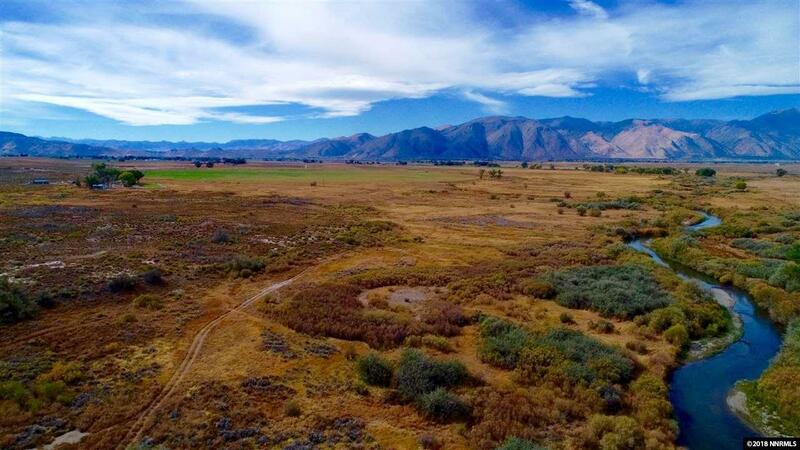 The ranch is located an hour from Lake Tahoe in the prestigious ranching community of Smith Valley, nearly 80 acres of valuable Nevada water righted ranch land with river frontage. Improvements include 3,254 s.f. 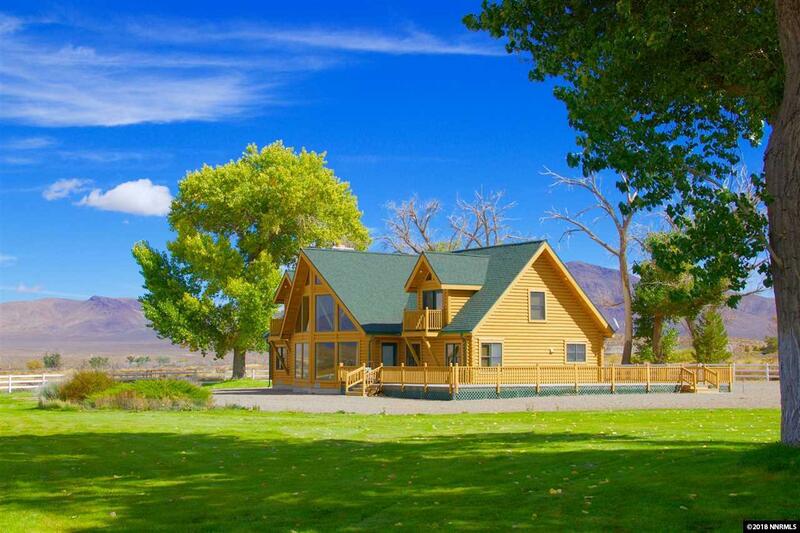 custom 2 story Ponderosa style log home, 3 bd, 3 bath, separate 6 car/plus garage/shop bldg. 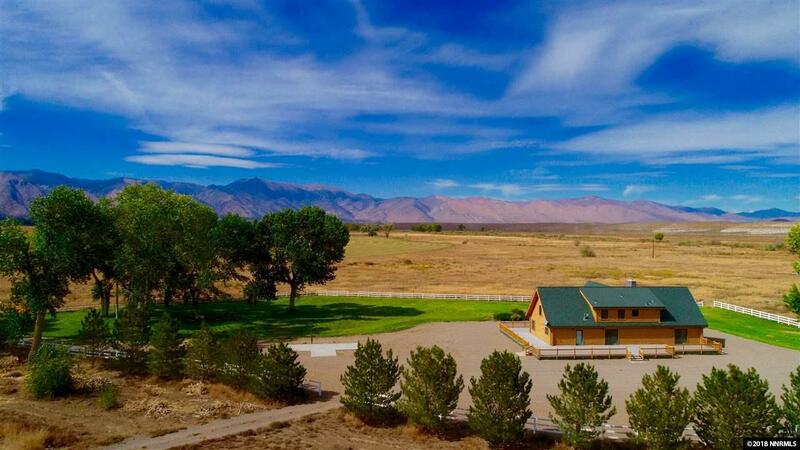 Log sided caretakers manufactured home 3 bd, 2 bath. Many possibilities, excellent equestrian potential. 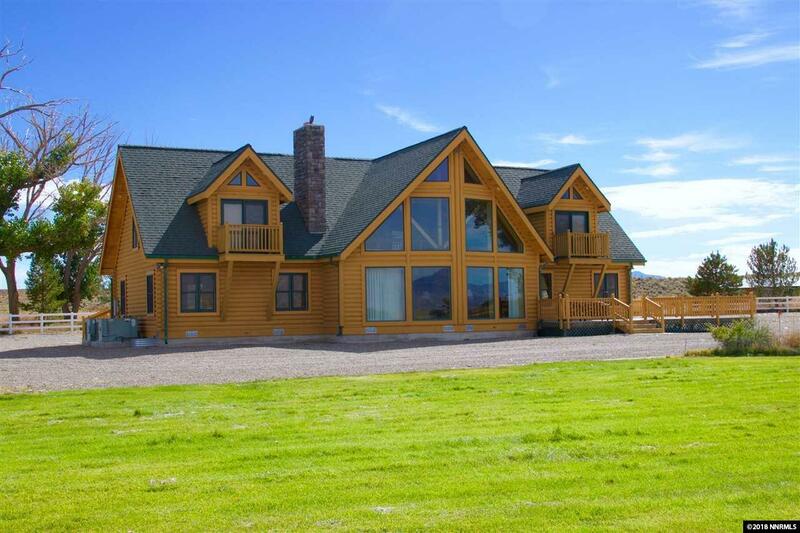 Listing provided courtesy of Far West R & C Sales/Mgt. Co..